Bit Rot is three things: An internationally traveling art exhibition, a catalogue accompanying that exhibition and a very large compendium of essays and fiction to be published in October 2016. 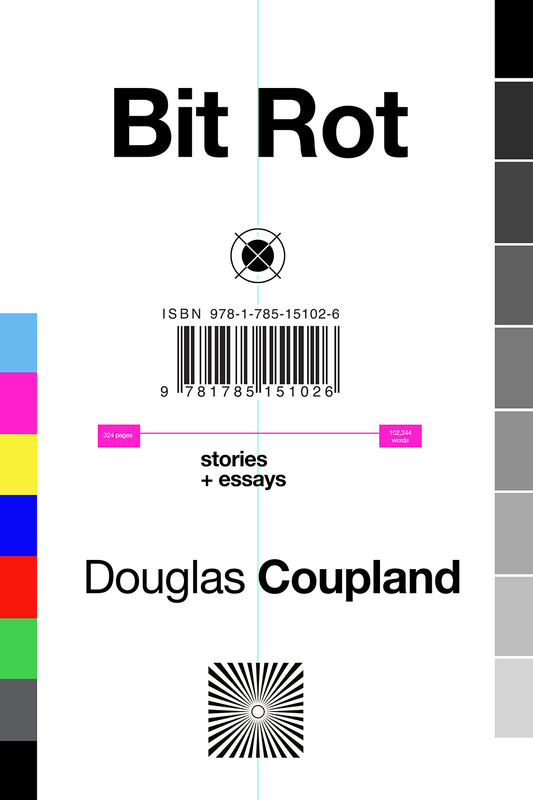 Bit Rot the book explores the ways humanity tries to make sense of our shifting consciousness. Coupland, just like the Internet, mixes forms to achieve his ends. Short fiction is interspersed with essays on all aspects of modern life.The result is addictively satisfying for Coupland's legion of fans hungry for his observations about our world. For almost three decades, his unique pattern recognition has powered his fiction, and his phrase-making. Every page of Bit Rot is full of wit, surprise and delight.